Some people live well with tinnitus and some don’t. That said, we recommend for everyone who suffers from tinnitus to get a hearing test done as in some cases, further medical investigation is recommended.Our tinnitus consultation includes further investigation into the perception of your tinnitus, a complete hearing assessment, as well as in-depth counselling of the new findings on tinnitus and solutions to manage it. 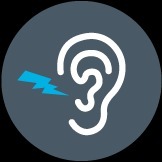 Don’t hesitate to contact us today to book your tinnitus consultation.